Still looking for a good way to keep track of all those administrative tasks? I've tried several to-do apps but Evernote's versatility and features make it an excellent choice to keep up with your daily, or in my case, weekly task lists. I have a notebook in Evernote dedicated to keeping my weekly tasklists in one place. Every Monday morning, I open and start a brand new list. Using the Evernote's check-box feature, I create a box and enter each item. I check off items as the week progresses, and I add new ones as I stumble across them. As often happens in the life of a school administrator, I have a few items left over at the end of the week. I just copy and past them into the next week's Task List. There are several great reasons for using Evernote as your "To-Do List App." You can create task lists very easily. Once created, you can access your task list across devices and on the web. Your task list follows you around like a shadow. You can create a notebook where you store all your task lists for back reference if needed. Use the "Tag" feature to make your task lists fully searchable. Upload any files such as Word Docs, PDFs or photos right into the task list. That means you don't have to search elsewhere for the files needed for the task. Create a shared task list and share it with your assistance principals. That way you can tackle the tasks as a team. Evernote's versatility make it my "To-Do List App" of choice. 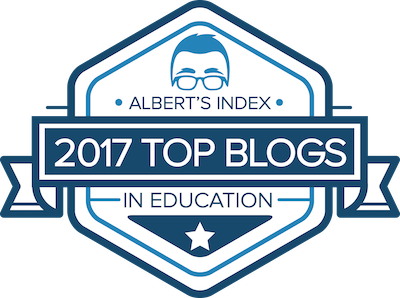 not using standardized test scores as the "sole measure of student achievement, educator effectiveness, or school quality." having an accountability system that "promotes continuous support and improvement and that also is: "public and transparent, includes a range of subjects beyond English and mathematics, and that incorporates non-academic factors such as measures of school climate, safety, and parental engagement." I applaud ASCD's decision to wade into the over-reliance of standardized testing issue by our federal and state education leaders and policymakers. We in North Carolina now subject our students more state tests than we ever have, and because of the emphasis on using these tests in teacher and principal evaluations, we are turning our schools into "test-prep factories." ASCD's call for a move to "multimetric accountability measures can't come too soon. I just hope they sent a copy of their press release to Secretary of Education Arne Duncan and to the state education leaders here in North Carolina. Here's the entire text of the ASCD press release. Alexandria, VA (01/29/2014)—ASCD released its 2014 Legislative Agenda on Monday, January 27th, at the association’s Leadership Institute for Legislative Advocacy in Washington, D.C. Developed by the association’s Legislative Committee—a diverse cross section of ASCD members representing the entire spectrum of K–12 education—the 2014 ASCD Legislative Agenda outlines the association’s federal policy priorities for the year. Include a range of subjects beyond English language arts and mathematics. Incorporate important nonacademic factors such as measures of school climate, safety, and parental engagement. The availability of Advanced Placement, International Baccalaureate, or college dual-enrollment courses for all students. In-school social and emotional learning, mental health services, and counseling to increase students’ capacity to achieve. Making the necessary investments in time and money to support educators along the entire career continuum. For educators seeking to become informed about the education policy and politics that influence their day-to-day work, ASCD offers the Educator Advocates program. This program empowers educators to speak up and shape our nation’s future by joining with colleagues to help lawmakers make the best education decisions. Educator Advocates receive a host of benefits, including theCapitol Connection weekly e-newsletter and just-in-time e-mail alerts on important issues, designed to position them to make a decisive difference. The complete 2014 ASCD Legislative Agenda can be found at www.ascd.org/legislativeagenda. 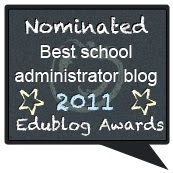 For more information on ASCD’s Educator Advocates program, visit www.EducatorAdvocates.org. Visit www.ascd.org to learn more about ASCD programs, products, services, and membership. Who Controls the School Calendar in NC? Not Those Making Decisions for Kids! A few years back, our North Carolina legislature succumbed the heavy lobbying of the travel and tourism industry, as well as an organization called Save Our Summers, and passed a law that public schools can't start their school year before August 25 and must end the school year by June 10. This organization, called Save Our Summers, which has a Web Site here (Save Our Summers Website), lobbied and successfully pushed through this legislation which took the decisions about the yearly calendar out of school leaders hands. This organization claims to be a "volunteer coalition of parents, grandparents, and education professionals" and their purpose is to "preserve the summer months for outside-the-classroom childhood and learning experiences." In realty, one can only wonder if their real mission is to preserve a long summer calendar so that families will potentially spend more time and money filling the coffers of the travel and tourism industry in North Carolina. One can only suspect that their party is probably fully funded by the travel and tourism industry, but since they provide no transparency regarding their donors, who knows! Today, I stumbled across this Op Ed from Texas entitled "King: Travel Industry Dictates School Schedule in Texas." Apparently, the state of Texas also suffers with the same problem: a sector of business and industry dictates school policy. In stead of being able to construct a school calendar that fits the needs of the school system and students, districts in Texas also have to create calendars that appease the tourism industry. This problem is perhaps a symptom of a much, much larger problem with public education in the United States. Many, many educational decisions are not the result of sound, effective reasoning about what's ultimately good for kids; educational decisions are way too often the result of who lobbies the loudest and who can spend the most money to get what they want. What's really interesting in North Carolina, charter schools don't have to abide by this calendar law. They can set their calendars to begin and end independently of the law. This, of course, brings up an entirely different question as to why should charter schools be exempt and public schools not. Don't the kids of those schools deserve the same consideration regarding the "preservation of the summer months for outside-the-classroom and learning experiences?" Controlling the school calendar so that schools optimize learning for students and maximize district operations is common sense. One thing the legislature and governor needs to do if they want to prove they're supporting education this year is to give school districts back the flexibility of setting their school calendars instead of once again proving that they listen to special interests. 4 Reasons to Attend the Ohio Educational Technology Conference 2014: Check Out the Keynote Lineup! There are plenty of opportunities to learn more about ed tech at this year's Ohio Educational Technology Conference beginning this Monday January 27. Here's the Keynote Speaker lineup for this year's conference. This keynote is an exploration of the importance of inspirational teaching and of building positive relationships with learners. I share stories of transformational teachers and experiences along with powerful tools and ideas to help today’s teachers make a difference in the lives of kids. I seek to help educators re-believe in themselves and re-find that spark that launched them into education in the first place. I challenge teachers to become the always-on learners that we need our kids to be. I share my passion for stories to inspire kids and challenge teachers to tell their own stories and help others understand that teaching is much more than a job. Join me for this inspirational message that is designed to help heal and re-inspire educators and empower them to continue to do the most important job on Earth. Bring an open heart and an open mind and we’ll find our teaching power together. In the past 100 years, the world has witnessed a startling amount of change—everything from mass industrialization and globalization to space flight and longer life expectancies. Experts are now predicting society will witness a comparable amount of change within the next two decades. In this fast-paced, informative and entertaining presentation, renowned global futurist Jack Uldrich will provide an insightful overview of how a number of technological trends—information technology, mobile web communications, Massive Open Online Courses (MOOCs), social networking, artificial intelligence, wearable technology, business analytics (data mining) and gaming dynamics—are fueling significant change within the field of higher education. Uldrich will then share a number of “unlearning” strategies higher education professionals can employ today to not only prepare their institutions and organizations for tomorrow’s change but also seize the opportunity to create a better and brighter future for their students and themselves. For more information about the Ohio Educational Technology Conference 2014 visit their Website. What Are the Real Motives Behind the Common Core State Standards? Let's Be Honest with Ourselves! Today, there was this post on the Public School Forum of North Carolina website defending the Common Core. That post, entitled "Common Core Standards Will Help NC Meet Its Challenges," was written by Caroline McCullen, the director of education initiatives at SAS which already has a multi-million dollar contract with North Carolina to provide value-added teacher data analysis software for teacher and principal evaluations. Let me say up front in the interest of disclosure. I am a skeptic about the Common Core, not because I do not believe in the need to have higher standards. Also, who knows, the scheme might ultimately bring about some positive change in education. But, as a skeptic and admitted cynic about the reasons the Common Core were developed, my cynicism says that perhaps these standards were developed as a commercial opportunity for corporations like Pearson and other test companies to make more money off the public school systems. After all, as Diane Ravitch points out, those tasked for developing these standards "contained few educators, but a significant number of representatives of the testing industry." (See "Everything Your Need to Know Know about the Common Core.") Now, Ravitch has made it clear that she doesn't support the Common Core either. However, I will set aside my own skepticism and cynicism and look carefully at the arguments used to defend the Common Core the post. The Common Core is "more rigorous than North Carolina's previous standards." The Common Core is "benchmarked against college and career readiness measures.."
The Common Core is "endorsed by governors of both parties across the country." The Common Core will "assure North Carolina citizens and business community that our students and future employees are challenged in the classroom and prepared to meet to compete in the global economy." Because North Carolina NAEP scores declined in 2009, the state's standards "were lower" there the Common Core standards are needed. The Common Core is needed because we need more rigorous tests so that we can compare students across the state and across the country. Are the Common Core standards more rigorous than North Carolina's previous standards?Probably, but neither McCullen nor our own state provide any extensive evidence to support this claim. They ask us to accept it as a fact. Certainly, if I look at the CCSS and the previous standards, I can see for myself that they are parts that are more rigorous, but when making claims, it is the responsibility of the one making the claims to support it, not me. In a document entitled "13 Things to Know about the Common Core State Standards in North Carolina" (See document here), makes the assertion that CCSS are more rigorous but doesn't provide any kind of analysis to support their claim either, nor is there a citation to any evidence. In fact, I could not find any detailed analysis that compares North Carolina's previous standards with the CCSS to determine which was more rigorous. If anyone knows such a detailed analysis I would like to see it. But what if they are more rigrous? Does it directly mean they are somehow better? What if in their rigorousness they aren't developmentally appropriate? 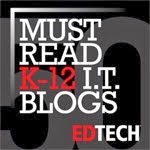 What if what is assigned to one grade level is above the cognitive ability level of the students in that grade level? Then there's that whole argument that grade level assignments are bogus and arbitrary to begin with.We Americans seem to have a fetish for this word "rigorous" as if magically more rigorous always means better and more appropriate. McCullen next argues that the "Common Core is bench-marked against college and career readiness measures." Those supporting the Common Core have been making this claim from the beginning. What does benchmarked really mean? According to one definition, it is a verb which means "to evaluate and check (something) by comparison with a standard." Does this really mean anything? Educators are notorious, especially testing and standards experts, for using words like to this to provide some kind of legitimacy to whatever they are arguing for. Still, if those who support these Common Core Standards argue that they are "benchmarked" then I suppose we have to take their word for it. Next, McCullen argues that we should accept these standards because they are "endorsed by the governors of both parties across the country." This point really adds nothing to the argument as to why these standards are legitimate. In using an "argument from authority" McCullen tries to somehow make these standards valid simply because the governors accept them. Governor McCrory accepts the practice of school vouchers but that doesn't mean I agree with him. Just because the "authorities" accept the Common Core does make them any more legitimate. Using the fact the National Governor's Association and the Council of Chief State School Officers is simply arguing that because these individuals are in positions of authority, then the standards are worthy of being accepted or adopted. Arguments from authority do not really support why they should be implemented. McCullen then argues is that the Common Core will somehow "assure the citizens of North Carolina and business community that our students and future employees are challenged in the classroom and prepared to meet the global economy." McCullen's claim here has no scientific or otherwise any evidence to support it at all. These standards will only assure the citizens of North Carolina that students are challenged, if those citizens see them as valid and challenging. There is simply no evidence to support this claim because the standards haven't been in place long enough to assure anyone of anything. They were not tested, just implemented. The Common Core standards by themselves aren't evidence that anyone would be assured of anything until they have been implemented, tested and tried.. It's their effective implementation that will attest to how challenging they are, and we want know that for years, if they last that long. Next, McCulen uses the decline in NAEP scores to claim that North Carolina standards were low. This claim also can't be made either. A decline in standardized test scores can be caused by anything, and was most likely caused by many, many factors. McCullen provides only a general statement without any supporting statistics to support her assertion. The final assertion McCullen makes is that CCSS are needed because we need more rigorous tests in order to compare students nationally. This claim betrays what I am afraid the real motivation behind the Common Core is: the development and implementation of a nation-wide testing system that is a sure to be bonanza of companies like Pearson, College Board, and the ACT. The ACT has already announced an initiative to develop their own "Common Core" tests to be peddled to the states. Then there are companies like SAS waiting in the wings to sell data analysis software to all 50 states. The Common Core is all about testing and reforming education so that tests work better. Does any else see anything wrong with forcing our education system to fit testing so that it works rather than reforming our education so that it better serves students? It is time for those peddling the Common Core to stop using vague generalities and marketing statements to sell it. Let's just be honest about it and what the motives are for implementing them. Ultimately, it might prove to be more rigorous and better prepare our students to complete globally. They might even assure our communities that classrooms are in fact more challenging. But until they have been implemented, making such claims do not make them true. Also, be honest about motives. The Common Core was implemented in order to provide standards that could be tested nationally so policy makers and education leaders can compare how students are doing nationally. For example, being able to say in your role as State Superintendent that my state was "number one" on the National Achievement test after all is a good trophy to have. Then of course, there's the commercial bonanza to boot where all manner of companies can now make a bundle too. Who does it harm? Let's hope not the kids and our educational system. 3 Steps to Being Civil on Twitter: It's OK to Block the Trolls! Is there anyone like myself who sometimes feels just a twinge of guilt when blocking the latest troll that responds to your tweet? Part of me believes that in the interest of fairness I should hear what they have to say; that it's OK for someone to disagree. But a bigger part of me wants to draw the line. Often these "trolls" as they are called do not really add anything to the discussion or conversation; they simply engage in name calling and derogatory language. They aren't interested in exchanging ideas. They are only interested in promoting their "rightness" or righteousness. One of the biggest problems we have as a society today is the lack of civil discourse. I know, I have been guilty from time to time too, of letting my passion for what I believe in get in the way of engaging in a productive conversation. Taming that passion is hard, especially when you believe in something so completely. Yet, when those passions rule, we end up with virtual Twitter Town-Hall Meetings where no one is doing anything but yelling at each other. That is often the result of those exchanges with those trolling Twitter and looking for a fight to pick. So why do we continue to engage in them? We need civil discourse more than ever because of the major issues we face: climate change, depletion of natural resources, pollution, and a host of problems bearing down on us globally. Yes, I am well aware that there are those who are unable, incapable, or unwilling to engage in a civil conversation about these issues. There are even those working hard to deny that these are really problems and that they even exist.Yet, that does not mean we can't work to foster an atmosphere where civil discourse can happen, even on Twitter? As a Twitter user, here's some of the measures I plan to take to do my part. 1. Before I Tweet, I will reflect just a moment and ask, "Is what I'm tweeting about people or about ideas? Is it helpful discourse or harmful?" I can disagree with Arne Duncan and Pearson about the direction public education is taking. I can even criticize what looks to be an agenda of corporatizing public education, but what I need to refrain from doing is attacking the person. We can be miles apart from someone philosophically and not see them as an enemy. We need not be guilty of being so attached to our desire to be right that we belittle others. Reflect then Tweet is pretty solid advice. 2. Block the trolls and those who do not engage civilly. I give myself permission without remorse to block those who break into the conversation with name-calling and personal attacks. Calling someone a "loon" or otherwise belittling them is not fitting discourse, and we need to give ourselves permission to walk away. If such people want to be heard, let's engage in discourse about ideas, not personalities. In the future, I give myself permission to block those who do not engage in conversation civilly. As a society, those with rigid mindsets and strongly attached to being right are not subject to being convinced by argument any way, so why engage them? 3. I must always remember no one really owns an idea, opinion or perspective. We become so attached to our perspective, we scream to the word "it's mine" when we approach discourse with a rigid mind. In reality, an idea or opinion is just that. Being open-minded means being flexible and open to the real possibility that we might be wrong. This is sometimes so difficult for me personally. I want to be right so I work hard to make it so, but where things go wrong is when being right become more important than the truth. Also, things go wrong when being right means more than being compassionate to the people around us. As I engage in online discourse through Twitter, Facebook, and elsewhere may I remember that being open-minded, being compassionate is more important than being right. We don't have to allow those wanting to turn the Web into a Townhall where people shout at each so loudly neither side is hearing the other to do that. It's perfectly OK to "block the trolls" and refuse to engage in conversations with those not willing to be civil in their discourse, but we also must be aware of when we ourselves slide into that mode too. It's Monday morning, and you're sitting at your desk. You get a call from your school receptionist that Ms. (You Insert the Name Here) has arrived in the office and she is agitated and angry, much like she usually is. Your receptionist informs you that she is upset once again about something that's happened to her daughter in the classroom. Upon hearing this news, you begin to tense up, as if ready for battle. You just didn't need to face this parent this morning. She has a habit of showing up when a thousand things are already on your calendar. You tell your receptionist that you'll be there in just a few minutes. This scenario is common experience for any school administrator. Even when I was a teacher, there were those few parents I just hated to get a phone message in my box or an email requesting a meeting. I knew they were angry, and I knew they wanted a piece of me. They were generally unhappy with life and wanted to take it out on me and whoever else happens to be convenient. As Salzberg and Thurman point out, these moments are when our verbal communication can be easily misunderstood if we don't handle speaking and acting skillfully. In these crucial moments when others approach us armed and ready, it is crucial that we use the right speech. According to Buddhist thinking, the criteria for determining what "right speech" is involves two questions: 1) Is it true? and 2) Is it useful? Notice that saying the right thing here involves both of these. What we say obviously must be true. Speaking falsehoods and untruths are never acceptable. But also notice that just because something is true that doesn't mean we have to say it. Take the parent scenario above. While the truth might be that the parent is being entirely unreasonable and a bully, it would not be considered skillful to state this truth directly. Just because something is true does not give us blanket permission to say it. What we need is sensitivity and discernment, according to Salzberg and Thurman. What actually matters the most at this moment? What do I care about more than anything else right now? Answering this question truthfully makes it very difficult to say what is unskillful. In the parent scenario earlier, it becomes immediately clear that neither the parent's obvious cantankerousness nor your aggravation are paramount. Determining what happened to the child that concerns the parent is most important. By refocusing out attention on what matters most we can set aside everything else. When you find yourself in conflict, do you care more about being right or being happy? Often, we get so caught up in our own righteousness that we seem to forget that "being right" isn't the most important thing at a given moment. Sometimes parents or even students we deal with might be wrong, but our insistence of being right can only make things even more difficult. Sometimes we just have to let go of our wanting to be right in order to connect with others. Can you step off your pedestal long enough to acknowledge that being right might not matter if it only prolongs or exacerbates the problems? The pedestal of righteousness many school leaders and even classroom teachers stand on is quite high. Again our insistence of being right is sometimes not useful in every situation, so we must let it go. How you approach potential verbal confrontations with others is an excellent indicator of your own leadership ability. According to biographer Walter Isaacson, Steve Jobs notoriously called things as he saw them. He was well-known by those he worked for, for stating the obvious and the truth no matter how hurtful or harmful it might be. His belittling of subordinates is legendary. Sure, he and his company were highly successful, and some others have argued that his "blunt and direct" way of speaking to others was the reason. I suspect it to be a bit more complicated than that. Sometimes, the important principle for leaders in schools and classrooms is to remember: "Being right isn't the most important thing." I began reading Love Your Enemies: How to Break the Anger Habit & Be a Whole Lot Happier by Sharon Salzberg and Robert Thurman today, and I stumbled on a section that focuses on bullying and dealing with those who bully. In that reading, Salzberg and Thurman mention that systems and social institutions can bully people as much as individuals. While I have understood and believed that the "culture" of a school can facilitate bullying and make it easier to happen, I had not ever fully made the leap to the idea of a school being a bully. The truth is, schools can be bullies in an even more insidious way: they can belittle students and staff in ways that are more covert than overt. How do we know when a school or school system is engaging in bullying behavior? According to Salzberg and Thurman, institutions bully through their social structures such as stereotyping, hierarchy and through thought control. It is rather obvious that schools can promote stereotyping through its school rituals, rules, and in its ways of dealing with students. They can also clearly promote stereotyping by fostering false hierarchies of students through its clubs, sports, and other student organizations. They can really be guilty of bullying students and staff through methods of trying to control students' thoughts and by being intolerant of diversity of thought and beliefs. In a word, schools can be one of the most powerful bullying factors in a student's life. How then do we know a bullying school when we see it? How can I tell if my school engages in bullying students? Here's some ideas of where to begin your examination of your school. 1. Does your school promote stereotyping through its academic, social, and other rituals and practices? For example, does your school have a habit of valuing one group of students over another? Does it through its practices place students in stereotypical groups? Does it, for example, make a big deal about being on the football team, but ignore those students who are band students or who are in the art club? You can probably know whether your school promotes stereotyping by looking at its values. What it values, it promotes the most. All school rituals and practices are based on these, so if your school values one group much more than another, you can be sure it might be covertly bullying those groups it values less by neglect and by default. Take time today with your staff and examine all those rituals, practices, processes, and values your school uses and has. Look at them carefully to determine whether they are creating bully victims. Then change them. 2. Does your school have staff who are bullies? For example, in many schools where I have worked as an administrator, there are often staff members who bully students with put-downs, mistreatment, and ridicule. Often, these are the same individuals who refer kids to the office the most, and just can't figure out why they have so many behavior problems in their classrooms. By not dealing directly with these bullying staff members, schools become bullies by default. Be aware of how your staff, and yourself, treats others in the building and deal with bullying behavior directly and decisively. 3. Is your school more about controlling students rather than allowing students to grow and explore? Some of the worst bully offenders are schools that are more about controlling students than about teaching them. For example, while rules and procedures are necessary to protect students, they can be coercive and controlling when their goal is to try to tell students what they should think, believe, feel, etc. That's why values education programs can sometimes be dangerous waters to wade into. That's also why some schools are struggling with tolerance and acceptance of diversity. Schools that strive too hard to standardize its students often engage in mind control and bullying too. In their efforts to be "fair" to all students, they do not engage in "just" behavior, which is especially true of things like dress codes and efforts to control what students read. It is important to reflect and examine whether your school is more about "control" or "teaching." If it more about the former, it might be engaging in bullying behaviors. In all our talk about dealing with bullying, we seldom talk about schools being bullies, but as Salzberg and Thurman point out, they can be. Schools that bully turn students off to learning and life. We as school leaders have a responsibility to perpetually reflect and examine our schools to make sure they do not engage in bullying their students. Leadership Principle: Deal with Anger by Removing Your Buttons! Undoubtedly, all of us have one individual who likes to "push our buttons." We walk into out office first thing in the morning and notice that the voice-mail light on our phone is flashing, and a sudden feeling of foreboding overcomes us. Most of our difficult days seem to begin with the flashing voice-mail button, so there is no excitement in pushing the buttons to hear the message that awaits. Once we do, the voice of that one person who seems to bring out the worst in us, bursts into our hearing, and we can feel the tightness, the anger arising with that thought, "Oh know, here we go again." This incident illustrates so well what happens to us in our roles as administrators. We all have those individuals who, because of our history with them, "push our buttons" and have the power to turn our perfectly good day to bad, sometimes with just the sound of their voice. These people inhabit our lives just by the very nature of our being leaders. Unlike many of those who work in our buildings, we can't pass the buck and say,"This is above our pay grade." We have to face the music. We have no choice but deal with the person head on. Besides, is it a courageous act of leadership to just pass the buck to someone else? "Rather than acting according to our habitual pattern of blaming others for our anger, we can note that our buttons are being pushed depends on two factors: other's actions and our having buttons. If we remove our buttons, there won't be anything for others to push." How novel a concept! I personally never thought we could "remove our buttons." I have long thought our buttons are our buttons and we just have to live with them. The truth is, that is simply not true. At the heart of living peacefully is being able to remove those triggers in our lives that bring about automatic and habitual anger. We can do that, and as school leaders, unless we want to live under the power of others by giving them "buttons to push," we can do so simply. According to Thubten Chodron, our removal of these buttons is simply removing our "automatic and habitual responses that so often get us tangled in cycles of anger and conflict with others." It really is that anger that sometimes gets us into trouble; it's our reactions that complicate our problems. We acknowledge and accept that anger when it appears. We give ourselves permission to feel the anger. Permission doesn't mean we take rash action; it means we let the anger be inside of ourselves. Whoever said you can't pause and just let ourselves feel the anger? There is no law that demands we act on our anger. Then we simply recognize that the anger is temporary. It does not ever last forever, that's why we were told when young to sometimes sleep on things. Distance in time allows anger to dissolve. By giving ourselves permission to be angry instead of resisting, we will often find that they anger simply goes away. By pausing and avoiding reacting to our anger, we do, in effect, remove "our buttons." How frustrating it can be for someone who wants to push your buttons, and that they can't find any to push. How's that for Friday leadership wisdom? It was bound to happen sooner or later. Two companies: TeachersMatch and Hanover Research have found a way to use statistics and test scores to develop a model that predicts how effective teacher candidates might be at raising test scores. These kinds of business ventures makes one wonder when the absurdity of this endless pursuit of test scores is going to end. "Public schools are slowly being dragged into a more business-like state of mind." Dodge concedes that he would like to enlist a couple hundred districts and obtain about $10 million in annual business. Never mind whether or not what he's selling is really good for education. From my perspective as a veteran educator there is so much wrong with this kind of venture, I don't know where to begin. There is at the heart of this some faulty assumptions that would make me totally dismiss TeachersMatch and Hanover Research's "new product" as snake oil and poison that should be totally ignored. Assumption that test scores are proxies for student achievement. Tests we currently use are imperfect and do not represent all that students should learn and be able to do. In fact, I am not of the faith when it comes to tests: I do not believe it possible to develop such tests. This "get-rich" scheme dreamed up by these two companies falsely assume test scores are the final say on student achievement. Assumption that the ability to increase test scores equals good teaching. This is a simplified view of teaching that business leaders and economists have of teaching. Teaching and learning is much too complex to be reduced to this simple equation. It doesn't take much to raise test scores if you teach to the test. High test scores are not always an indicator of good teaching, unless you view teaching as primarily getting high test scores. Assumption that schools are like businesses. This statistical money-making scheme dreamed up by TeacherMatch and Hanover Research smells and stinks of corporate education reform at its worst. It assumes that schools are businesses, which they never have been. Schools don't operate like businesses on so many levels, that this kind of thinking is actually detrimental. Ultimately, we have the Obama administration and Secretary of Education Arne Duncan to thank for these kinds of education quackery. Because of Race to the Top, every economics and business quack have come forward peddling this kind of snake oil. Our federal education policy has enabled these kinds of schemes. What's worse, we as educators let their fancy, statistical arguments and savvy marketing persuade us that what they're selling really doesn't smell bad. We should know better. We should demand that these companies like Hanover Research and TeacherMatch, demonstrate the effectiveness of their products through independently, peer-reviewed research. We should ignore any marketing claims made by these snake oil salesmen, and look at the morality of using data in these ways too. Amazingly though, technology does provide tools to those interested in Buddhist practice. Besides downloading all the books, podcasts and videos that are available, there are also apps for iOS devices and Android devices. These apps assist those who practice meditation with timers and the ability to connect with other practitioners. My favorite app, available for both iOS and Android is called Insight Timer. (Check out their web site here.) This app has several features that actually make your meditation practice more effective. Insight Timer: This is the major function of the app. 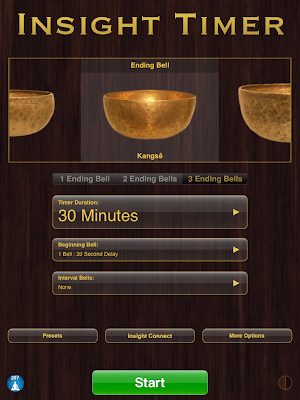 It is a timer for your meditation sessions. With Insight Time, you can adjust the length of your session and choose what your beginning and ending bell will sound like. 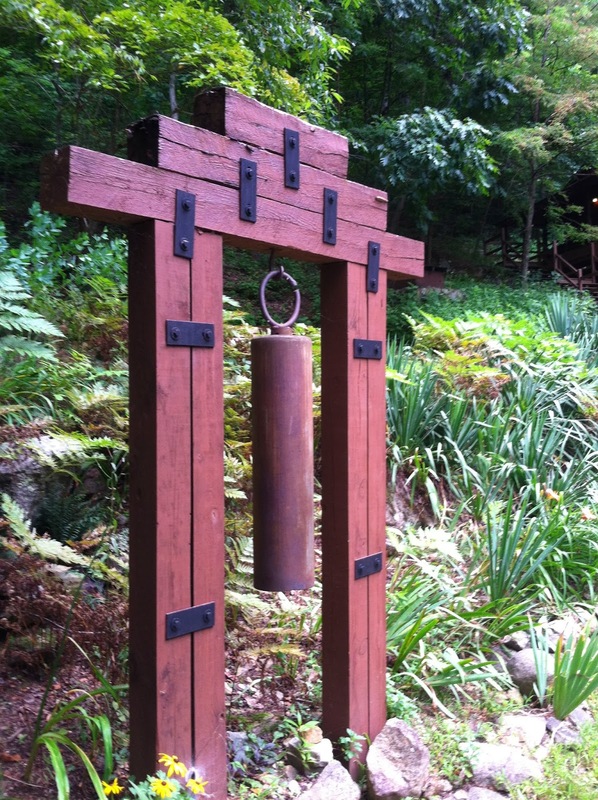 You can also scheduled interval bells during your meditation too. Insight Connect: This feature of Insight Timer allows you to connect and message to others who have joined the Insight Connect network. For example, you can send a simple message to someone else thanking them for meditating with you. You can also join groups, and even see others close by who are or who have meditated. By joining groups, you can receive common messages from others in that group. This Insight Connect feature makes your meditation practice more social. Other Options: You can view your meditation log and statistics and record your observations and reflections in a journal. This journal can be exported as well. Finally, you can set your Insight Connect picture as well as your app background too. I hesitated sharing this app on this blog, because I am afraid there are those who might see this as an endorsement of religious practice, but it is not. So many meditation groups are being established, and many of those who participate are from all faiths. I participated in a retreat this past summer with an Episcopal priest. Insight meditation is an excellent way to finding your center and becoming authentic. Insight Timer is an excellent technological tool to help with that.